This post may land me in the “bad mother” stockade. But as I’m no longer raising wee ones, and my three offspring have clocked in at nearly thirteen, seventeen and twenty-two years respectively, and they seem to have turned out minus awkward quirks, socially unacceptable habits or evil malevolent tendencies – I’m going to risk a parenting confession. And I’d shake off my guilty daydream and downshift onto the off ramp knowing that never in a million years of mothering, would I do such a thing. Some thoughts are meant to be acted upon, while others are best boxed and kept on a safe shelf in ones’ mind. My road trip reveries are a thing of the past now. They’ve been left with diaper changing, teething and sleepless nights. Now, if I’m going to drive off into the sunset – I’d just as soon have my kids come with me. 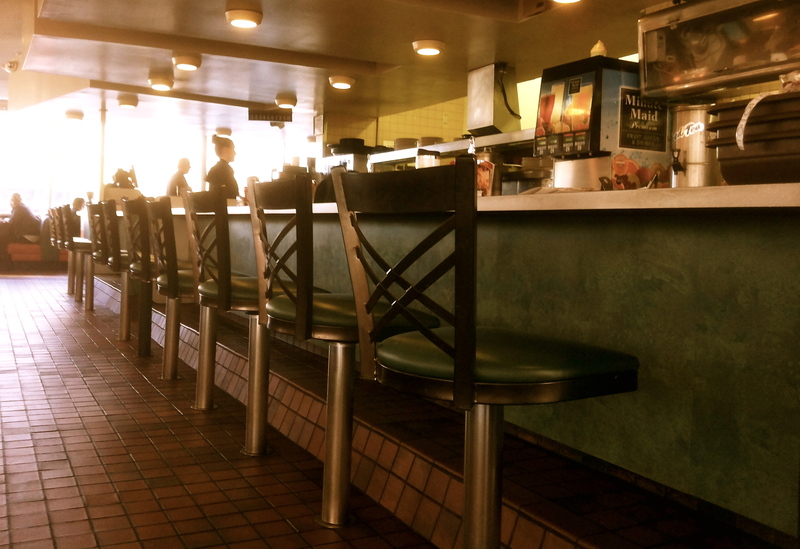 Our time together is fleeting, and soon enough they will be rambling completely on their own…..heading down new highways, finding their own seats at diner counters, and ordering whatever suits their fancy. This entry was posted in Siftings and Essays of the Heart and tagged Family, Honesty, Motherhood, Raising kids, Reflection. Bookmark the permalink. I think any mother says she’s never had that thought is either in major denial or just an outright liar! Genna, Agreed. The tricky part is all tied into the art and balance of being an open human I suppose. When to act, when not to act. When to speak, when to zip it!